Buy and Download > Description In 1982, Dr. Dunbar created and taught the world’s very first off-leash puppy socialization and training classes — SIRIUS® Puppy Training. Before SIRIUS® there were no puppy classes; dogs had to wait until they were six months to a year old before attending school. The original SIRIUS® Puppy Training video was acclaimed by Jean Donaldson (author of The Culture Clash) as: “the video which changed dog training ... the best video on positive methods and early socialization available today”. However, in the original video, the classes were adapted to facilitate filming specific puppy training techniques; owners sat on chairs and listened to Dr. Dunbar’s critiques of individual dogs performing each exercise. 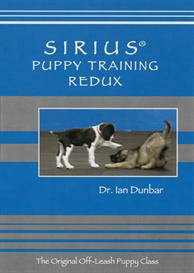 SIRIUS® Redux shows classes how they were originally taught and how they should be taught today. 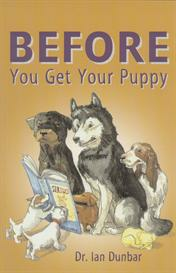 Owners spend the entire class learning how to observe, handle and train their puppies. 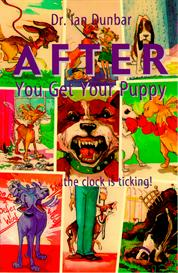 Puppies learn to play with other puppies and socialize with their owners. There are no separate playtimes or training times. Instead, all puppies are off-leash for the entire class and numerous short training interludes are integrated within the play session. Thus, rather than becoming a distraction to training, playing with other dogs becomes an effective reward for training. In no time at all, compliance becomes a simple matter of puppy preference; puppies learn to listen to their owners because that’s what they want to do. 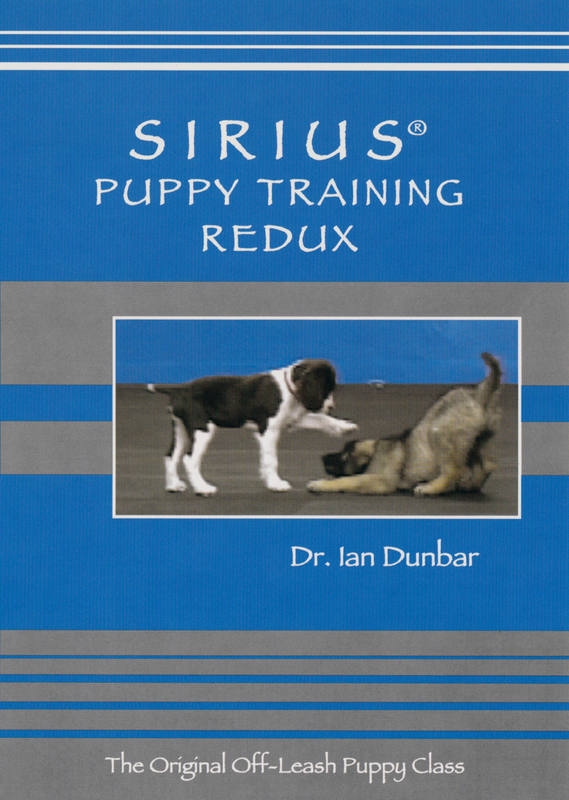 Watch SIRIUS® Redux and learn Dr. Dunbar’s quick and easy, simple and effective, gentle and enjoyable, scientifically-based methods of off-leash, lure/reward, dog-friendly dog training, that made the SIRIUS® philosophy the hallmark of pet dog training.